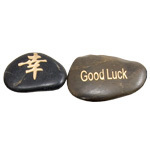 These river stones have been engraved then painted gold or silver. 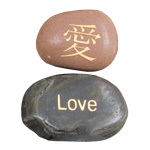 Each one has an English word on one side and its matching Kanji symbol on the other. 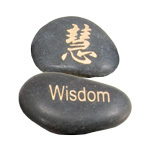 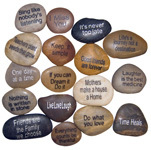 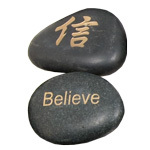 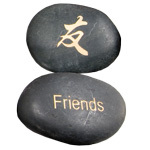 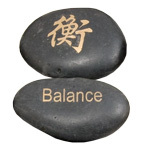 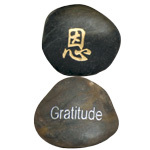 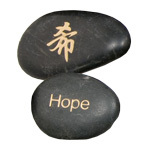 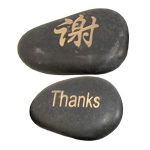 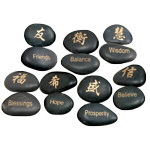 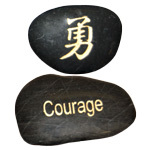 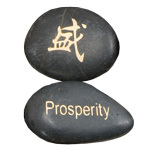 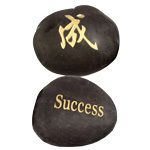 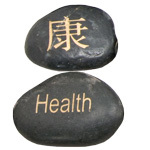 Kanji stones are wonderful gifts of inspiration because of their empowering words. 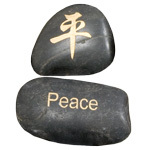 They can be used to provide focus during meditation, as an everyday reminder in home decor, or as encouragement in times of struggle. 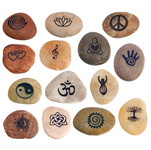 The stones are mainly black, though may include reds, browns, peaches pinks and tans. 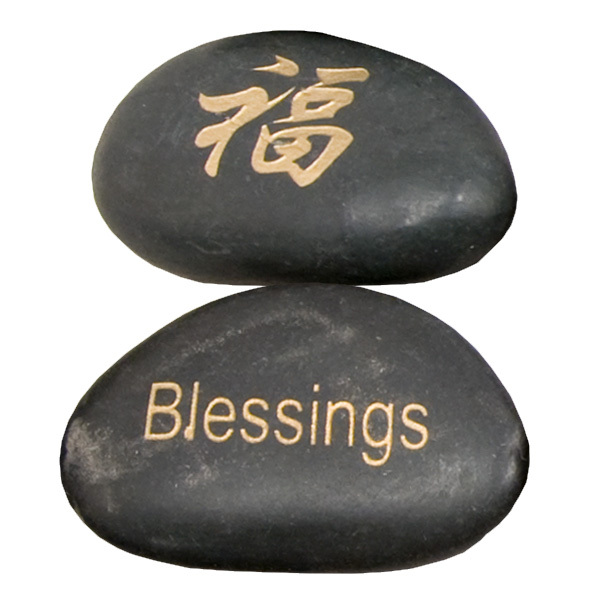 These are welcomed as gifts by men and women alike.